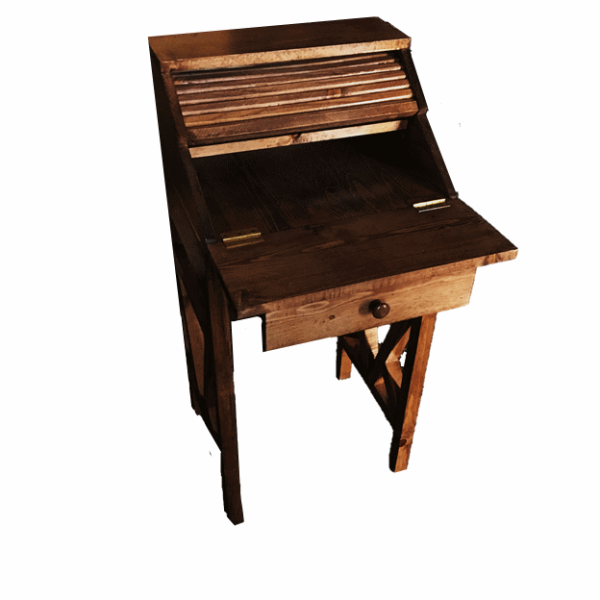 This roll-top desk is perfect for using and storing a laptop computer. The 18 ½ in. wide and 15 ½ in. deep desk allows for amply space to store even a large laptop computer. 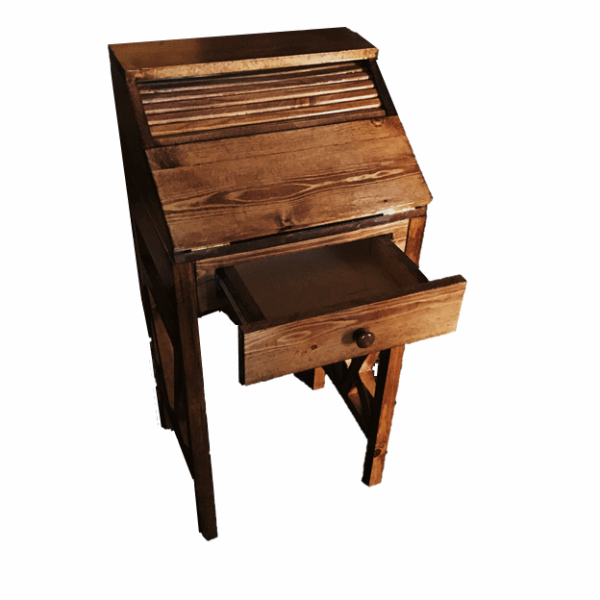 The fold down front extends the desk top an extra 8 ½ ins. 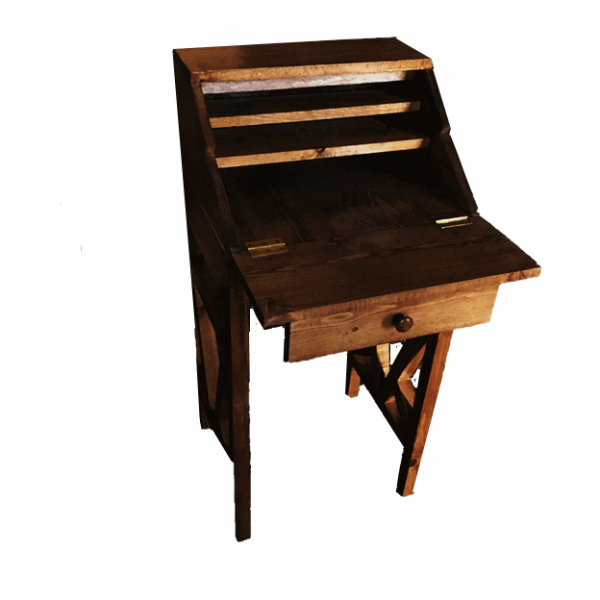 giving the user plenty of work space .With a desk top height of 31 ¼ ins. 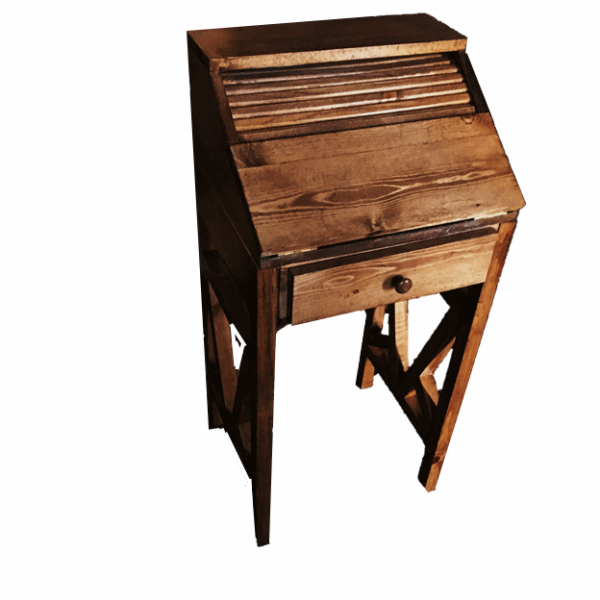 this roll-top desk is perfect for any location. The roll-top provides the privacy any user desires, but opens to create an uncluttered working area. The sturdy base provides stability, but is detachable allowing for easy shipping.